Manchester is once again our focus on the local radio round-up, where the station previously known as Key 103 has lost more listeners. 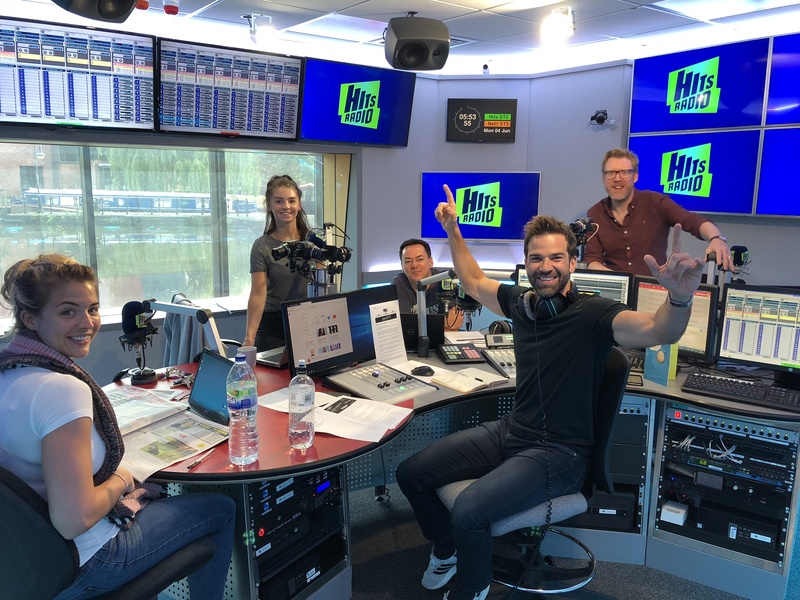 Hits Radio (Manchester) is reporting 325,000 weekly reach, compared with 374,000 last quarter. This is half the amount of listeners it had four years ago. Newly rebranded Key Radio (previously Key 2) has 53,000 listeners compared with 81,000 three months ago. Hits Radio’s Market Share has dropped from 5.2% to 3.9% and hours are down by 561,000 in three months. Peak FM has seen reach increase by 15.7% quarter-on-quarter and 32.8% year-on-year. Total hours have also increased 15.5% quarter-on-quarter and a staggering 72.6% year-on-year. Richard Bogie, Managing Director of News Scotland, said: “We are delighted with these figures, which show that we have built on the early success we enjoyed in the first half of the year, and this gives us momentum as we press ahead with exciting plans for its future. We are focused on delivering entertaining content for listeners and ensuring that we entice more and more people to tune in and enjoy all that our stations have to offer. Max Hailey, the Mix96 MD said: “Everyone here at Mix96 is absolutely delighted by these incredible results. We’ve got more people listening now than at any point in Mix96’s history – 51,000 people tune in every week. Utterly shocking but completely unsurprising set of figures for Hits Radio, terrible output. Bauer’s local station’s 7-8 years ago had it right, all this networking along with bland presenters/ crap imaging & branding is killing them. Really quite sad to see. What a meaningless embarrassment these so called listener figures are , the samples are so minute and hit and miss that they are irrelevant. Anyone with any common sense and knowledge of these things will tell you that, and worst still the comments of these so called programmers with their meaningless drivel about the meaningless drivel they produce. Yeah,maybe it’s just me but that proper local radio phrase always gets to me,it’s a turn-off every time I hear it together with all these repeated phrases between each song on many commercial stations but obviously i’m In the minority as people seem to love constant repetition. I count myself lucky I had 9 months there in ’76 working with Steve England, and even sat-in for THE Roger Day on breakfast. But it’s not just ‘Hits’ that is on a terminal decline – behind these figures is the inescapable trend that the ‘young’ do not need/use radio as previous generations did. It’s time commercial radio started to focus on the meat, not the gravy! They need to aim for audiences 30-65 , as they had far better and more real ‘music’ ( ! ) are home owners, and have spare income to spend on the products these stations need to sell via their adverts to survive!! Piccadilly didn’t have to compete with 40 national digital stations, plus several other local stations in Manchester. The figures are always going to reduce with that level of competition. What Bauer lose with Hits they gain with their other brands (mainly Absolute & Kiss). For the record Hits is aimed at 25-45 year olds. Well said, kids, listen to Spotify, Apple music & can’t stand the drivel that comes out of some jocks. Concentrate on programming for the older population. WCBS in New York 7 Radio City 2 in Liverpool shows that the older listener still enjoys good radio. For correct English: “This is half the amount of listeners it had four years ago” should be amended to read: “This is half the number of listeners”. I do encourage Radio Today to set a good example. What a farce. The standard of radio in this country continues to decline so loads of listeners get fed up listening to rubbish and switch to different stations in a futile hope that they will be better which of course they aren’t so a few weeks later they switch again. Then every three months these entirely meaningless figures are produced showing that some stations have increased listeners and their management say that this is because they are wonderful whilst other stations have lost listeners and their management say it is a temporary blip. Meanwhile things continue as bad as ever and three months later we have the next set of RAJAR’s meaningless nonsense. It’s nice to see Mix96 mentioned – on what must be a small staff and tight budgets they are all over Aylesbury and local events in a small TSA working hard to be local, relevant and a good listen Vs the bigger national brands. I’m assuming BAUER is going to talk of playing the long game with Hits Radio and early days but Hits (Key) and Free (Birmingham) are near neading intensive care. I’m not thier biggest fan but at least Global have a clear powerful strategy. Where are there no comments from Global managememt relating to the big decreases in their listenership to Capital in many of the northern regions, and their replacements for Lakeland Radio and the Bay which have seen a 25 per cent drop. Odd that they have not commented perhaps as they can’t spin this bad news. But I doubt they will change tact!!! Good to see some local radio stations with local content doing well like Minster FM, Yorkshire Coast Radio and Mix 96. Perhaps a lesson for Global? You have cherry-picked a few examples of local stations that have had a good quarter, but there are others that have had a bad one. Wave 105 is live and local and they have had three poor RAJAR books in a row. I’ve listened to commercial radio since 1975. I’ve heard a lot of changes, mostly for the worse. Most stations are so bland now and rotate such a narrow amount of tracks. The individuality has all but disappeared with the advent of large groups of same-old stations. When you finally find a station you like, it changes or closes (eg Jack 3 uk), something fresh and different replaced with dull mediocrity. Bring back stations like the original Power fm, Beacon Radio, Galaxy 101, Red Dragon fm etc.